Alan Wallwork is a British studio potter best known for his natural/organic inspired work. The forms of Alan’s unusual pots invite exploration by touch, qualities of weight and texture being as important as the purely visual. 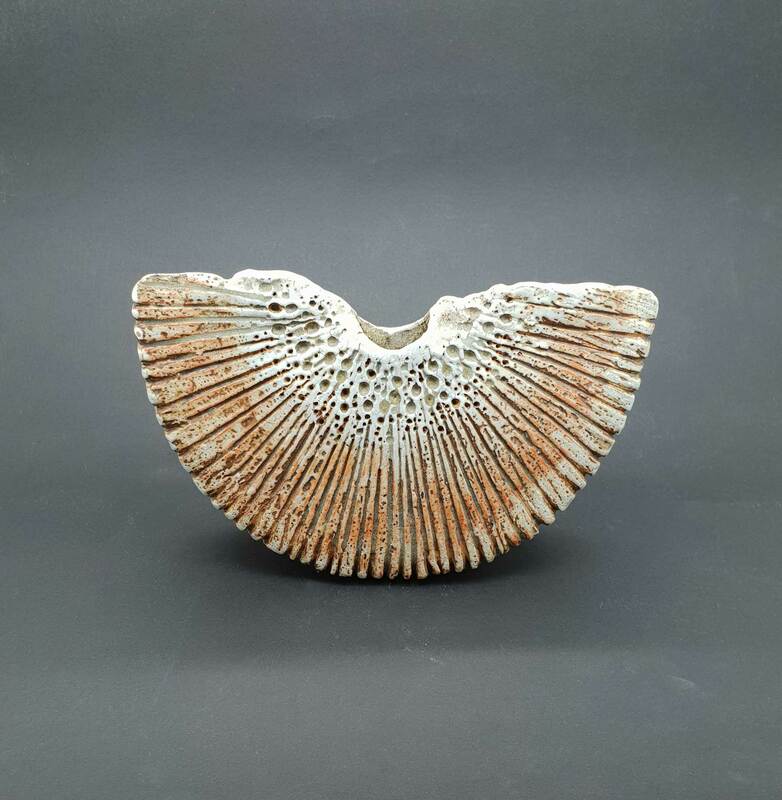 Clays are often layered one over the other, sometimes mixed or impressed with materials such as seed heads which burn away in the kiln to leave pitted and cratered surfaces, reminiscent of the weathered and eroded surfaces of his local Dorset seashore.